We all know there was a time in Las Vegas when the tallest structures on the strip were neon signage for the various casinos that adorned her. When the word hotel was still used to describe motel rooms. A time when the view that from the Top O the Strip at the Dunes was so unobstructed you could see that tallest building in the city at the time at 12 stories tall, the Fremont hotel and casino, on Fremont St, in case that wasn’t clear. 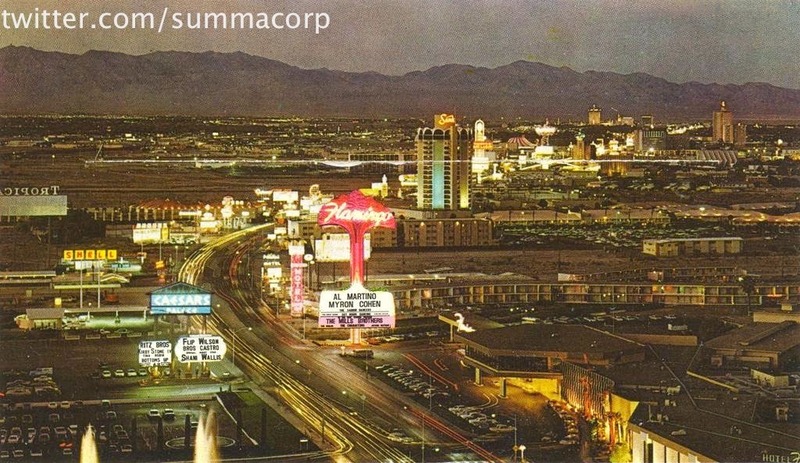 This week’s winner from @summacorp documents 1968 in Vegas in a way not often seen, in color. What makes this picture even more interesting is here place in time. When you check out this photo, keep this in mind; Circus Circus just opened, Howard Hughes will arrive in November and it will be another year Elvis begins his residency at the International. Everything is about to change.